A Democrat is poised to be elected to the San Diego County Board of Supervisors, becoming the second to do so in nearly three decades. District 4 Supervisor Ron Roberts and District 5 Supervisor Bill Horn are the first supervisors to be termed out of office as a result of San Diego County’s Measure B, which was passed in 2010. The measure established a limit of two eight-year terms for supervisors, with the five supervisors at that time being grandfathered in. District 1 Supervisor Greg Cox and District 2 Supervisor Dianne Jacob will be termed out in 2020. Running in District 4 are former Assemblyman Nathan Fletcher and former District Attorney Bonnie Dumanis. The district encompasses most of San Diego city proper up to La Jolla. Fletcher looks like he will be the next Supervisor, the first election he’s won since serving in the Assembly from 2008 to 2012. He is leading Dumanis 64.7 percent to 35.3 percent. 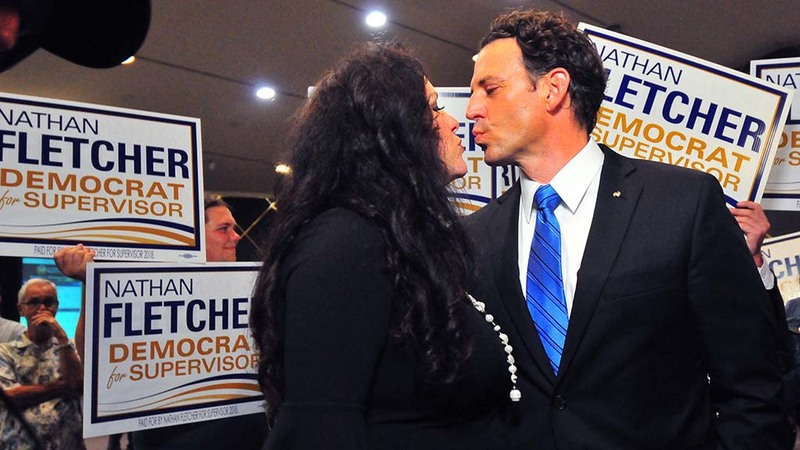 Fletcher, then a Republican, choosing to run for San Diego mayor in 2012 in lieu of running for re-election. 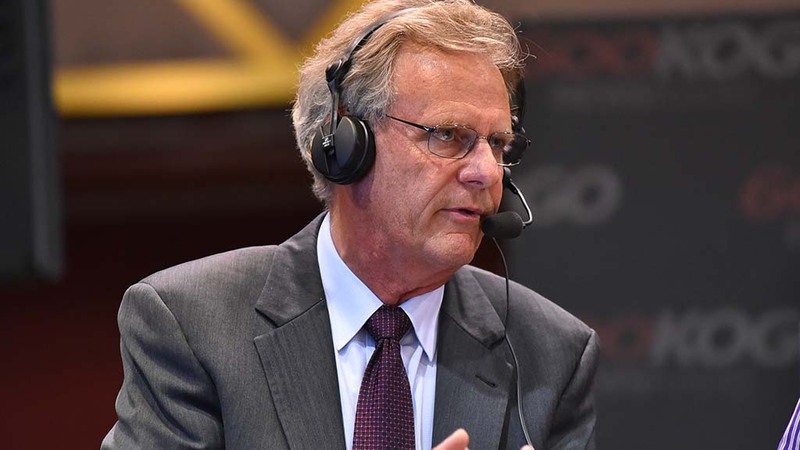 After changing his party affiliation to Independent, Fletcher finished third in the 2012 mayoral primary to Carl DeMaio and eventual election winner Bob Filner. Fletcher finished with 24.1 percent of the vote. Dumanis was San Diego’s district attorney from 2003 to 2017, becoming the first openly gay prosecutor in the country and the first woman to serve as DA in the county’s history. She also ran for mayor in 2012, finishing fourth behind Fletcher with 13.3 percent of the vote. Dumanis would go on to endorse DeMaio in the general election. Fletcher and Dumanis finished the June primary with 29.2 percent and 26.1 percent, respectively. Fletcher is now a registered Democrat and Dumanis remains a Republican, but the office of supervisor is officially nonpartisan. San Marcos Mayor Jim Desmond and legislative analyst Michelle Gomez are running in District 5, which stretches roughly 1,800 miles across northern San Diego County from Camp Pendleton to Borrego Springs. Desmond fell roughly five points short of 50 percent during the primary election, which would have given him the win outright. He is leading Gomez 59.6 percent to 40.4 percent. Desmond has served as San Marcos mayor for 12 years. Prior to taking mayoral office in 2006, Desmond was a San Marcos City Councilman. He is endorsed by the San Diego County Republican Party and serves on the boards of directors for the San Diego Association of Governments, San Diego International Airport, San Diego County Economic Development Corporation and San Diego and Imperial County Boy Scouts of America. Gomez sits on the San Diego County Commission on the Status of Women and Girls and the Oceanside Housing Commission, in addition to her work as a legislative analyst. She has received endorsements from the San Diego County Democratic Party and the San Diego and Imperial Counties Labor Council. Should Gomez or Fletcher win, they would become just the second Democrat on the board in roughly three decades.